Profile: UTSA's Recreation Wellness Center is nearly 185,000 square feet of indoor recreation space and houses a wide variety of programs and facilities including multi-use courts and studios, a nutrition kitchen, and the Aquatics Complex. DataCom Design Group was selected to perform evaluation of existing site conditions before design development - which included Opinion of Probable Cost (OPC). 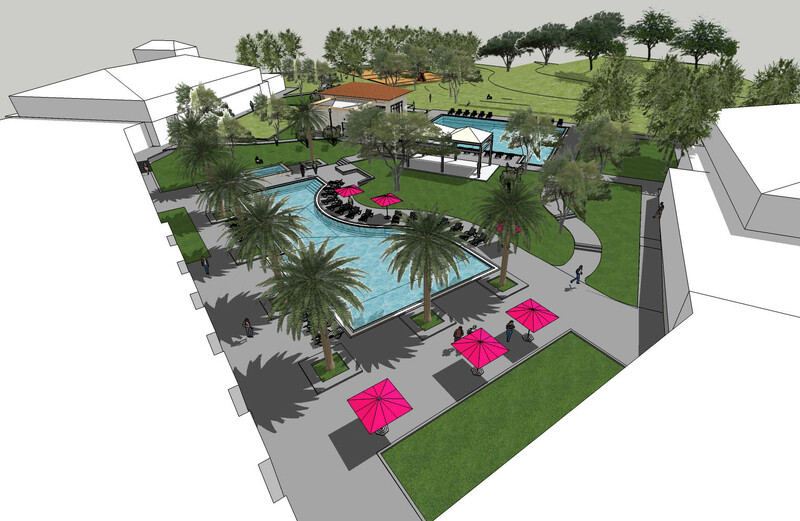 The scope of work comprises connectivity and AV for the two-pool area, clubhouse with locker rooms and a wet/dry classroom of 3,000 SF, plus the outdoor lounge and event areas.